There’s nothing worse than having your runner’s high interrupted by a period leak, case of chafing, or a snapped hair-tie. 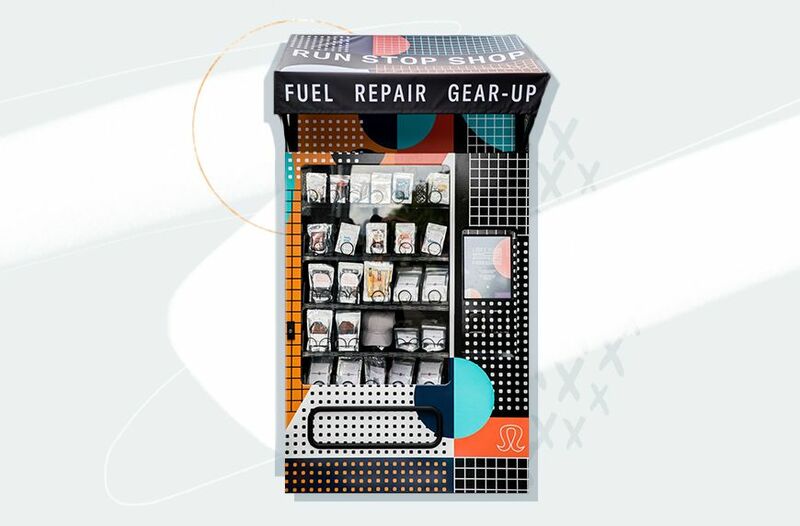 Usually, you’re left cutting your workout short and dealing with the issue at hand until you get home—but Lululemon is basically turning into your life-saving BFF with new digital vending machines that are stocked with all of your running needs. And, oh yeah—they’re totally free. Yes, really. Whether you’re mid-marathon or logging your daily miles, the Lululemon Run Stop Shops are here for you. Currently, the magical machines are placed in New York City at Roula Cycling and at Theatre on the Lake in Chicago, and will be open from 7 a.m. to 6 p.m. every day until November 8. And there’s no catch on the no-cost part, as stated in the brand’s press release: All you have to do is enter your email address and share a picture using one of the designated hashtags for your area: #thesweatlifeNYC or #thesweatlifeCHI. So, what exactly comes in these vending machines? Well, it’s kind of like going into Lululemon, minus the leggings. First of all, you can score cool running accessories, like hats, socks, and hair ties. Then there are plenty of picks to amp up your workouts, like Nuun electrolyte-enhanced drink tablets, Redd Bars, and Honey Stinger energy gels, as well as emergency supplies, like SuperGoop! sunscreen, Kleenex, Cora tampons, First-Aid kits, Oars + Alps face wipes, Squirrels Nut Butter, Anti-Chafe, and Body Glyde (whew). Basically, you’re covered from head to toe. Now, if only they had one of these genius Run Stops in every city. Until then, just keep on stocking that fanny pack. Here are some must-know tips for running on your period to focus more on PRS than PMS. Or, check out this guide for the best cities for runners to see on foot.